Cuttings are a byproduct of the well drilling process. As a well is being drilled, these small bits of bedrock circulate to the surface. 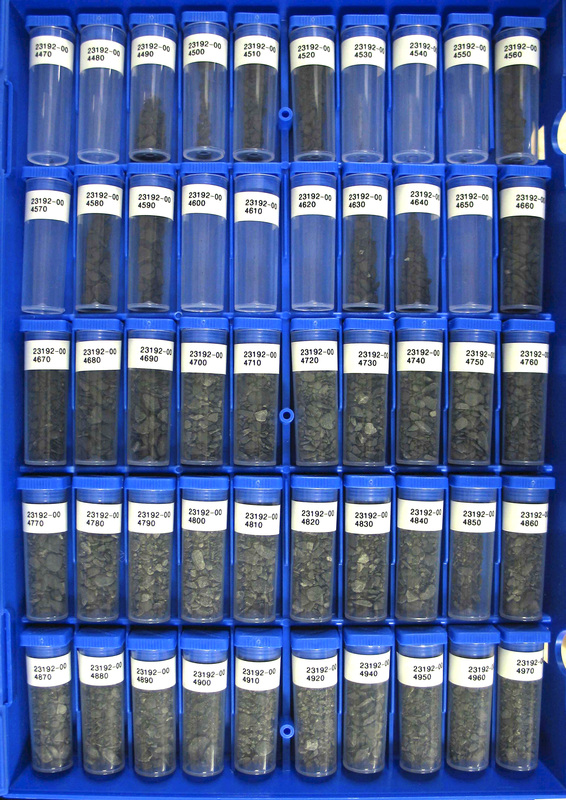 In many cases these rock chips are collected, labeled with the depth from which they came, and stored for later studies. Cuttings are often stored in plastic vials or manilla envelopes. These rock fragments can be used to identify the type of rock at a given depth as well as provide sample material for geochemical and mineralogical analyses. The NYSGS currently holds a collection of cuttings from over 3,000 wells, all of which are available for scientific analysis.